AQUATICAL•LATIN | An ongoing project investigating the etymology of the scientific names applied to aquatic species. AQUATICAL•LATIN is an ongoing project investigating the etymology of the scientific names applied to aquatic species, particularly animals such as fishes and invertebrates. This site is intended as a resource for aquarists, naturalists, anglers, academics, divers, and anyone else curious about the meaning behind the names. Aquatical Latin: Latin for aquarists: an etymology of tropical marine reef species. This is the first in a series of books looking at the etymology of popular aquarium and angling species of fishes. The Lexicon is a work in progress, offering a generalised guide to the meaning of the Latin and Greek words used in the formation of the compound words used in the construction of scientific names. If you’re curious about the scientific name of any particular species of aquatic animal or if you have any questions regarding the site, please contact AQUATICAL•LATIN via queries@aquaticallatin.info and we’ll do our best to answer your query. 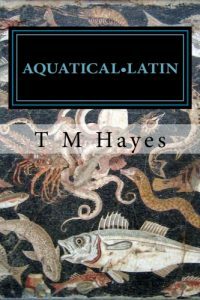 Regarding the unusual name of this website, AQUATICAL•LATIN – the word ‘aquatical’ meaning, “of aquatic nature; having to do with water”. Although described by the OED as obsolete, I have used this word rather than the more usual ‘aquatic’ in homage to botanist William Stearn and his seminal work, Botanical Latin (1966), which I have found to be an invaluable guide to the study of the Greek and Latin words used in scientific names. 1785 John James Audubon (1785 - 1851) was born on this day. He was a US ornithologist, naturalist, and painter; he had the goal of finding and painting all the birds of North America for publication. Audobon is best known for his The Birds of America (1827-39), considered one of the finest ornithological works ever completed. He described 25 new species and had a far reaching influence on ornithology and natural history. Whilst ichthyologist Rafinesque was a guest of Audubon he noticed a bat in his room and, thinking it a new species, grabbed Audubon's favourite violin in an effort to knock it down, resulting in the destruction of the violin. Audubon took revenge by describing fictitious fishes to Rafinesque who went on to record them in his Ichthyologia Ohiensis (1820).